When I started knitting, I realized I needed to think about storing my textiles differently. For one good reason: MOTHS. Moths are the enemy of long-term textile storage, which we learned the hard way at our house from one vintage jacket purchased at a second-hand store that worked its way through three prized sweaters before we discovered what was going on. Textile moths LOVE wool, which is why closets have been made of cedar and old ladies have smelled of naphthalene for decades. With my fabrics for sewing, I admit that I didn’t think too much about storage, certainly not specialty storage. I mean, cotton, right? Fold it up, stick it on the shelf, done! I have had a number of wools rolled up in a basket for years and never gave them a second thought, probably (and I’m ashamed to admit this, but it’s true) because I got them cheap at a closeout sale, so I didn’t ascribe any particular value to them. Insert conversation about cost vs value here. Sigh. But yarn! Oh, my, yarn. 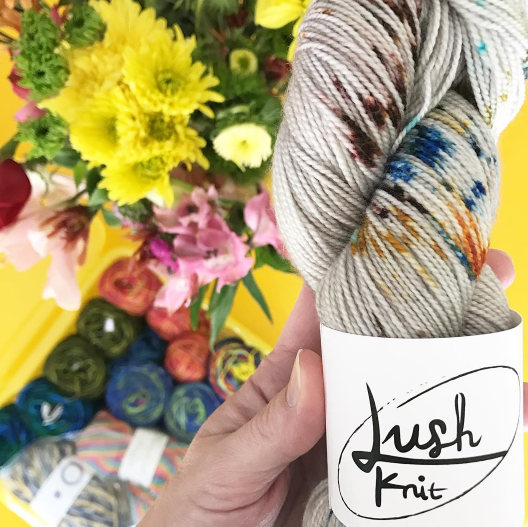 One of the first yarns I really splurged on was from Purl Soho, their wool/silk Mulberry Merino blend, and even though I got that on 30% off sale, it was still GASP levels of pricey. 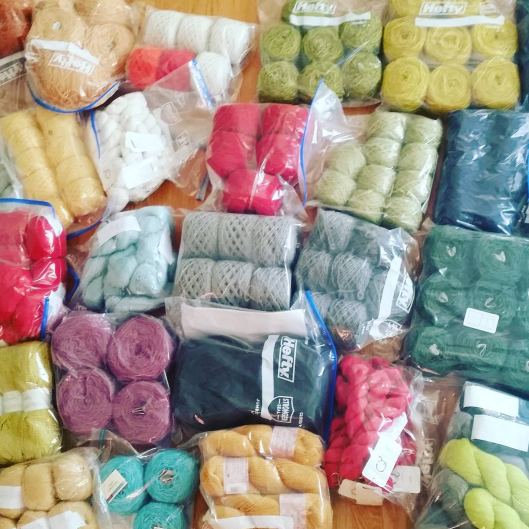 It hurt to purchase a sweater’s worth of this stuff–ten skeins, even at a discount, was a major chunk of change. So I suddenly was enormously invested in thinking about how to preserve my precious new preciouses. Almost all of the yarn I have purchased comes in a plastic bag, so that’s how I’ve chosen to protect them. Mostly, your choice is between storage containers or bags, anyway, and bags are inexpensive and take up very little space. Plus, as an organizational tool, I like using very large zip top bags and placing one kind of yarn in each, either every skein I have of one color, or all skeins of one type, like sock yarns. We also liberally employ lavender oil to prevent pests (read more about that in this article, along with other tips for preventing moth infestation). In every load of washed laundry, we use these dryer balls with a few drops of lavender oil to both freshen the load and to keep pests away (at the very least, I HIGHLY recommend using dryer balls with lavender in your linen loads, because it can make ALL the difference for kids who are reluctant sleepers–soothes them right off to dreamland!). On top of that, for garments that can’t be laundered, we use small sachets with lavender flowers and oil, tucked into dresser drawers or on shelves in the closet, to protect our clothing. Same idea applies to stored yarns and fabric, where sachets can be placed in bins or between bags of stored textiles to keep moths from eating their way inside. And don’t overlook the obvious: vacuum and dust often, to keep your collection fresh and keep an eye peeled for any developing pests. When we discovered them in our closet chewing through our knits, they’d done some damage to sleeves and hems that couldn’t be repaired, but if we’d caught it sooner maybe there could have been some mitigation? I don’t know, that’s what I tell myself now, as I’m spending weeks knitting a sweater and trying not to think about the ephemeral nature of all making. At a minimum, you should be able to eliminate an infested item before the creatures move on to another pristine selection that you treasure. Again, these tips apply both to fabrics AND yarns, including WOOL BLENDS. Just because an item isn’t 100% wool doesn’t mean it shouldn’t be protected! For basics on mothproofing before a problem starts, Martha has a list of tips–and she’s got you covered should you discover the little buggers nibbling away at your favorite wools, too. Because making stuff is more fun when you don’t find holes in your fibers before you even get going. Have fun, you guys! 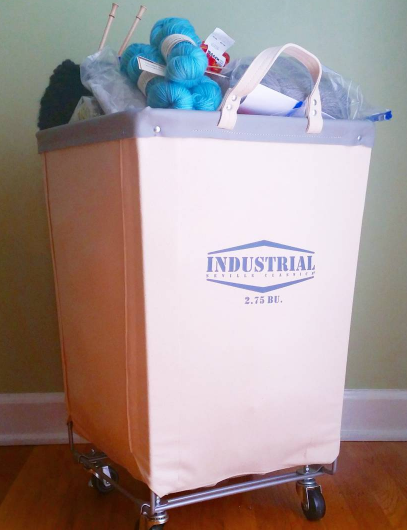 I store my yarn stash in ziplock bags & in Rubbermaid storage bins. Sometimes I’ve got yarn in a bag in a bin! I also have those moth traps around & am fortunate to find them empty every time I check (so far). I use those dryer balls too, but hadn’t thought to use the essential oil on them, so thanks for that tip. As we plan out the new studio in our (soon to be) finished basement, in looking at closet shelving. IKEA has some with rubber “drawers” that have lids, so there’s a very real chance we will have yarn in bags in bins, too! Ha! I forgot to mention the cedar “hangers” we’ve used in the past–you have to sand them down periodically to keep them effective, but they’re good for finished garments in closets and should work just as well for yardage! Your recommendations are great…. but; can I add something to it about the lavender? As a kid growing up I never had a problem with lavender… but…. as an adult of over 55 now all of a sudden I do. Essential oils are a big thing now and although I have lavender plants in my yard I don’t go near them now. I’m become over sensitive to them… not really sure why but it could be because we had so much lavender oil and products in the fabric store I used to work in. I now get terrible migraines when I’m in a room with the oil or any of the lavender products. So, use the oils and even the seeds/blossoms with care. Just yesterday I was shopping with my sister in laws and had to leave a shop because they were infusing the oil very strongly in their shop. It may do the trick but it can be overwhelming to some. I’m a knitter and spinner, and I’ve had some nasty experiences with moth infestations in the past. The worst one I had started with the gift of a wool area rug from Mexico, and it wiped out so much yarn and fleece. So that’s one of my tips- beware of wool from areas that never get a hard freeze. I’m convinced that it’s more likely to have the microscopic eggs hiding within it, and gifts in general- incoming wool should be kept in isolation for a good long time before you expose the rest of your collection. 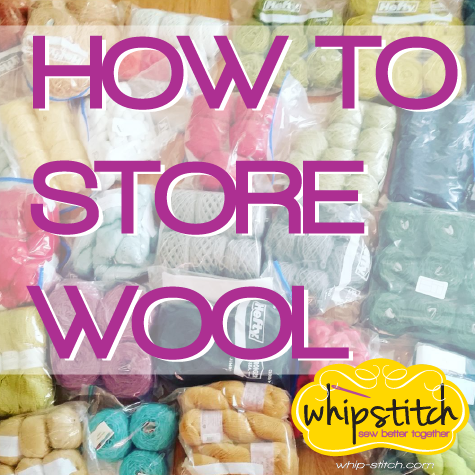 My other recommendation is to use hypoallergenic zippered pillowcases to store washed fleeces and yarn. The fabric is a very tight weave, and since I started using these, I haven’t had any problems, and everything is under control. I prefer them over plastic bags because they’re squishier and easier to pack together in a bin, and I just prefer fabric over plastic. You can buy the pillowcases in quantities online, and although they’re more expensive than plastic bags, they’re nothing compared to the loss of treasured yarn or handknit items. I pack my stash in these pillowcases and then put them in sealed plastic bins. It’s important to bring everything out for inspection and to air out every 6 months to a year, and using cedar, lavender, etc. in addition to all that is also helpful, although during the worst of my infestation I once found a sachet full of moth larvae. They are satanic little pests. I’m looking for advice to store yarn long term, and by that I mean years. I’m having my dog’s fur spun and only plan on knitting a nominal amount of what I’ve put into bags over the years. The purpose of the spinning is to have a momento. Does anyone know how long yatn, cheingora specifically, will last if kept in an air tight, bug free environment? What’s the yarn equivalent of keeping papers wrapped in archival paper for long term safe keeping? Could I knitting with it 20 years from now?